Kilicdaroglu has been outspoken about his Kurdish identity, though he does not speak the language well. The leader of CHP says Turkey must solve the Kurdish problem and that his party is intent on finding ways to achieve that end. However, his rivals, mainly the ruling Justice and Development Party (AKP), say that Kilicdaroglu tries to exploit the Kurdish question for his own political gain. Rudaw met with Kemal Kilicdaroglu inside an office in Parliament Hall inAnkara. Rudaw: Two years have passed since you became the head of CHP. What changes have you made in your party? Kemal Kilicdaroglu: CHP has seen many significant changes in the past two years. We have held four conventions; two of them were routine conventions, but the other two were held to change the internal code of conduct of the party. We changed our code of conduct, making it more democratic. We imposed a 33 percent quota for female members in the party in order to ensure better participation by women in politics. All the organs of our party must have 33 percent women, and 33 percent of our MPs must be women. We also imposed a 10 percent membership quota for youth. We want to make sure youth have a chance to practice politics as well. We have changed our code of conduct to one that is friendly towards the principles of universal rights. We are working on transforming the party to a healthy social democratic party. My colleagues have started working on that. At the upcoming convention we probably will not be able to do that, but in future conventions we will make changes to meet that goal. Rudaw: In the last two elections, CHP won enough seats in parliament to be a major opposition party inTurkey. But political observers say the CHP has not played the role of opposition due to internal issues. Have you successfully assumed the role of opposition in Turkey? Kemal Kilicdaroglu: We have had some differences in the CHP. This has projected an image of the CHP as a party that is not able to play opposition. But today, particularly after our last convention, this statement is no longer valid. Now we work together and struggle together. We are a strong opposition inTurkey’s parliament. For example, on the issue of education, four CHP MPs stood against 150 other MPs. They tried to suppress our MPs by using the power of the majority. But we, according to our internal code of conduct, have employed all our efforts to stand as a strong opposition in parliament. Rudaw: Does this mean your February convention included a decision to exercise the politics of a “strong opposition”? Kemal Kilicdaroglu: Yes, we have adopted a more radical approach in our politics, in being the opposition. This is what people expect from us. Rudaw: CHP is a social democratic party, but nationalist politics have dominated the CHP, particularly in recent years. Will we see a more democratic CHP from now on? Or you will continue with your nationalist approach and remain democratic only in your claims? Kemal Kilicdaroglu: We will be more social democratic than we used to be. We will hold a regional meeting for the social democratic parties in the region. The meeting will be in Istanbul. In April, we will hold a meeting for all social democratic parties that have been affected by and are interested in the Arab Spring. This is to say, not only our country, but all the nations in the region, African nations and all those nations that have been suppressed, are in need of true social democracy. We will speak our minds, with a strong voice. Rudaw: In a recent interview, you said your party would have a candidate for the 2014 presidential elections. Will that candidate be you or someone else? Kemal Kilicdaroglu: No (it will not be me). But we will try to nominate a person who can guarantee votes from the right and moderate voters. We believe if we nominate such a person, our candidate will secure the post. We will try to nominate an intellectual, an open-minded person who can ensure good relations with the world, comply with the constitution and who believes in the rule of law. We are working on that now. Rudaw: Do you have anyone in mind? Kemal Kilicdaroglu: No, not yet. Rudaw: In an interview with the newspaper Akşam, you said you are ready to sacrifice your position for a solution to the Kurdish issue. What do you intend to do to solve this issue? Kemal Kilicdaroglu: Only CHP can solve the Kurdish issue. As a social democratic party, we are the only one who can solve this issue. This is because we are looking at solutions from a free, democratic and human rights perspective. We believe weapons alone cannot solve the issue. We believe the Kurdish problem, which is the most important issue in Turkey, can be solved by long-term projects, brave decisions and adopting the CHP’s approach to democracy, freedom and human rights. Rudaw: Since you assumed the post of CHP’s presidency, an opening to the Kurdish issue can be seen. Prior to the June 12 (2011) elections, CHP held the Conference of Solving Kurdish Issue in Wan, but no results from the conference have been seen, so far. Kemal Kilicdaroglu: We have a clear view on that issue. That problem cannot be solved by one political party. That is why we held the conference for solving the Kurdish problem in Wan last year. We asked for a committee to be created in parliament, a compromise committee, in order to get all political parties to participate in solving the issue. We wanted to create a committee to work together, to create a united brain on the issue. We wanted parliament members from different political parties to sit together to solve the issue, not to sit together to not solve the issue. We also told them to create a council of wise men. We said the compromise committee in parliament could appoint members to the wise men’s council. Then the wise men’s council could go and meet with the involved parties and the people to see what their demands were and how the problem could be solved. Then, based on the recommendations of the wise men’s council, the compromise committee could issue new decisions or amend laws. I believe our stand and perspective on the Kurdish problem is one that is suitable to the current Turkish atmosphere. Our party was able to create a committee for the issue of the constitution, a very difficult issue. Rudaw: Can you tell us, frankly, what you suggest in this regard? Kemal Kilicdaroglu: If the government is willing, we could very easily create this compromise committee with the participation of the MHP (Nationalist Movement Party), BDP (Peace and Democracy Party), AKP (Justice and Development Party) and our party. If needed, we could even bring in other parties, those parties that do not have seats in parliament. We could bring all these parties to one table to discuss and negotiate the issue. Rudaw: On May 1, 2012, the writing of the new Turkish constitution will begin. The AKP is not willing to adopt the right to education in a mother tongue. If the AKP maintains that attitude, what will be CHP’s reaction? Kemal Kilicdaroglu: In the constitution writing committee, if a particular party disagrees on a particular article, or one party tries to impose its beliefs on the constitution committee, the writing process will stop. Only the articles that political parties have a 100 percent consensus on can be submitted for parliamentary vote. Therefore, all constitution committee members must agree on all the articles in the new constitution. Rudaw: The AKP has been speaking of solving the Kurdish problem for the past nine years, but most Kurds inTurkeybelieve they have not taken any significant steps in that regard. Does CHP believe the AKP is honest in their attempts to solve the issue? Kemal Kilicdaroglu: No, the AKP is not honest. The AKP has been ruling the country for the past nine years under this banner of “solving the Kurdish issue.” But the problem remains unsolved. Rudaw: Have you thought about initiating a program of your own to take this claim away from the AKP? Kemal Kilicdaroglu: Our suggestions might have shortcomings, or might even be wrong. Therefore, we have told them, “You forward your suggestions, so we can support you.” But they have none. We are asking for an immediate solution to the problem. We have frank suggestions. The government might not like our suggestions, but then let them forward their suggestions. We encourage them to suggest solutions and we will support their suggestions. Rudaw: There are talks about an opening from CHP towards the Fetullah Gullen group. Is this to weaken the AKP or does CHP want to solve the problems of Turkey with the Fetullah Gullen group? Kemal Kilicdaroglu: We do not have any special opening towards any particular group. But we respect all the groups and parties on the condition of not politicizing religion. Anyone can exercise his or her rituals. We respect that. But we do not think politicizing religion is right. Regarding the Fetullah Gullen group, which is a religious group, as long as they avoid politics we have no issues with them. We look at the subject from a faith perspective, not through a collective belief perspective. Rudaw: You are Kurdish, an Alavi Kurd from Dersim. Recently, a broad discussion of the Dersim massacre of 1937 was held. The massacre took place when the CHP was in power. How can you keep a balance (between your party and your ethnic origins), particularly when (Prime Minister) Erdogan recently brought up the issue and wanted to use it against you and accused the CHP? 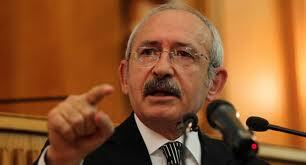 Kemal Kilicdaroglu: The CHP has never said there should not be an investigation into that issue. On the contrary, CHP asks for documents in the archives to be investigated. The archives must be reopened. Parts of the archives were opened, and they claim the other part will be opened too. The CHP does not want that to be a daily political subject. We are insistent on revealing the truth. The truth can be found by undertaking an investigation of the historical documents. In order to know what happened, we must allow history professors to carry out an impartial investigation. The prime minister does not raise the issue because it happened in Dersim. He is raising the issue in order to put pressure on CHP. That’s all he is trying to do. If the prime minister is concerned and saddened by the death of people in Dersim, he should have a similar stance on the 34 who were killed in Roboski. Did he say anything about Roboski? No, he did not. This is a person who is trying to use past tragedies against us, and to use these events as part of a political game. Recep Tayyip Erdogan is trying to use past atrocities to promote his interests. He is reopening the wounds for his own benefit. Let him reveal the truth; we have no issue with that. I told you a different angle on this issue, but the prime minister is silent about that angle. A large number of people from Dersim have been forcefully moved to other areas. They were given land in the new areas, but later the land was taken back. I suggested that the land should be given back to them. Did they return the land to them? Has the prime minister mentioned this issue? No. He does not tackle this issue. He only wants to use the sad events and atrocities for his own interests. Rudaw: You have directly and indirectly lived the tragedies of Dersim. Couldn’t you have brought the issues of Dersim up for discussion, prior to the prime minister’s attempt in that regard? Why did you not do so? Kemal Kilicdaroglu: I think it’s not right for a politician to entangle himself with that issue. That is a subject for history professors. I want to bring the Roboski issue to light, because that is a live subject and it happened in my time. As for Dersim, it happened a long time ago, and not all the documents have been revealed. As archives are opened up, unknown stories will unfold and the truth will come to light. We do not like retaliation. If you are concerned about the issues as a human being, then reveal the truth and wish the atrocities did not happen. But, as I said earlier, all the aspects of that event have to be revealed. It is not right to mix Dersim’s history with the politics of today. This is true not only for Dersim, but for the events of 1915 as well. These are not subjects for politicians to decide. History professors must make conclusions. Look, inFrance, the constitutional court made a decision about the issue. This shows that the issue is one for history experts, not politicians. Rudaw: You were born in Dersim and counted as a Dersim representative. Do the people of Dersim pressure you for their rights? Kemal Kilicdaroglu: No, there is no pressure on me. That is because the people of Dersim understand me well. I understand them very well, too. What the prime minister is doing is not trying to bring an unknown event to light. It’s an attempt to use the event for his political interests. Anyone with a stable mind knows what the agenda is behind the prime minister’s attitude. Look, he ignores theSivascase, in which 35 people died. What did he say about that case? He said, “May good follow this event.” This same prime minister says he is concerned and sad about the Dersim case. The Dersim people do not believe him. If Dersim was set on fire, the prime minister would only be happier. Rudaw: It’s now known that the MIT (Turkish Secret Service) have been in talks with the PKK (Kurdistan Workers’ Party) for years. Do you think it’s right for the MIT to hold talks with the PKK or that another government entity should do so? Kemal Kilicdaroglu: All over the world, secret services have these kinds of talks. But the talks must remain secret. As soon as they are revealed, the people in charge of the talks must be removed from their posts. But inTurkey, this did not happen. On the contrary, the blame was put on the prime minister because he directly instructed the talks to happen. The highest rank in charge of the talks was the prime minister. But the prime minister did not want to admit that fact. If he did, then in the court he could not defend the MIT chief. In case he defended him, it would be like defending himself. Rudaw: My question was if you think it’s good to negotiate with the PKK through the MIT or if it should be done by another government agency? Kemal Kilicdaroglu: No, it’s not good. I said in parliament there must be a compromise committee; parallel to that committee, there must be a council of wise men. The wise men’s council can go and do the negotiations. The state should not involve itself in such issues. The state cannot negotiate with an outlaw group. If the state does, then their legitimacy is in question. The wise men’s council can talk with anyone. Then they can bring the recommendations and information to the state officials and parliament, etc. The council can inform the state of the talks, meetings, what happened and what not. Our suggestion is that the state’s legitimacy should be protected and steps towards solving the issue should be taken. Rudaw: Do you recommend resumption of talks with the PKK? Kemal Kilicdaroglu: As far as I know, talks are ongoing. Rudaw: Do you support them? Kemal Kilicdaroglu: I do not have information on the talks. How could I support them? Rudaw: How do you assess the relations between the Kurdistan Region andTurkey? Are they balanced relations? Do they serve both peoples? Kemal Kilicdaroglu: A large number of our businessmen work there. The relations are advanced in trade. This paves the way for healthy relations. Moreover, there are family relations between the citizens ofTurkeyand northernIraq. People from both countries visit each other. We all have to serve and promote these relations. Northern Iraqi businessmen come to Turkey and invest inTurkey. Therefore, the relations must be promoted. Rudaw: Do you have any particular suggestion for strengthening the relations? Kemal Kilicdaroglu: There are a lot of things that can be done. Our businessmen go there. Cultural relations should be worked on. The relations must reach a level where the interests of both countries are served. Rudaw: If you were elected to office, what would you do to strengthen these relations? Kemal Kilicdaroglu: We would want to have more of our businessmen in the region, and carry out more investments over there. Rudaw: Syrian Kurds are not happy about the Turkish role in building a future forSyria. They are worried about Kurdish rights. What do you say about that? Kemal Kilicdaroglu: CHP does not support interfering in the business of any nation. This is our stance on the issue. At the same time, we believe we should have good relations with our neighbors. We believe in democracy; freedom and human rights must be respected in those countries. But we should not intervene in their domestic affairs. If we interfere in other nations’ domestic affairs, then we cannot defend ourselves from interference in our affairs by other states. Therefore, we have a clear stance on that issue. Rudaw: At the Wan conference, you decided to visit the Kurdistan Region, and Iraqi President Jalal Talabani in Paris, France invited you to Kurdistan and Iraq. But you have not made the visit yet. Why? Kemal Kilicdaroglu: I will happily pay a visit. I have an invitation from president Talabani to visit Baghdad. I may visit Baghdad and northern Iraq. Rudaw: Does the CHP have plans to open an office in Erbil? Kemal Kilicdaroglu: Opening offices outside of Turkey is burden some financially. So far, we have only one office in Brussels, where the European Union is located. But if circumstances allow, we want to open offices everywhere and develop our relations with everyone.